If you know me then you also know I have a weakness for anything involving chocolate. Chocolate and peanut butter, even better. Chocolate and caramel…ohhh don’t get me started! I love it all. As I’ve gotten older I’ve started paying closer attention to some of the stuff (and by stuff I mean junk) I’m putting in my body. I could no longer turn a blind eye to the many preservatives and man made flavors put into today’s processed food products. Snacks were the worst. In an effort to do the right thing I started to take notice of healthier choices that would satisfy my chocolate cravings while still offering convenient packaging that is purse and lunch box friendly. This is where I turned to Young Living and decided to give a couple of their chocolate products a try. These gems come packaged 10 per box and come in at 120 calories per 1 oz bar. They are a bit spendy by most basic granola bar standards but Young Living’s bars are packed with great non-GMO ingredients and contain 6 grams of protein. Not only are they free of soy and fructose, they are low in sodium and have no artificial flavors, colors or preservatives. 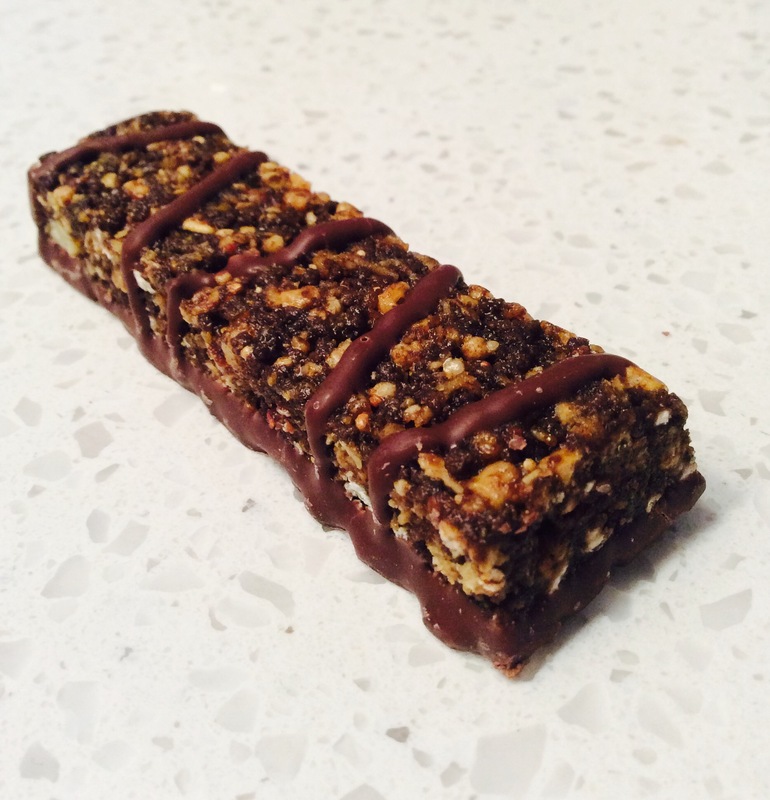 Because these bars are made of naturally derived ingredients like quinoa, flax seed, almonds, wolfberries, Einkorn Flour and dark chocolate they are a perfect pleasure for the health conscious. The chocolate coating is basically the icing on the cake as far as I’m concerned. They satisfy my cocoa cravings without the lingering effects of feeling guilty. Upon first bite you notice the chocolate first thing. A hint of wolfberry and coconut flake sneak in and bring a little complexity to the flavor profile of this bar. The ‘crisp’ portion of the name is more of a textural bite as these bars are chewy and rich. 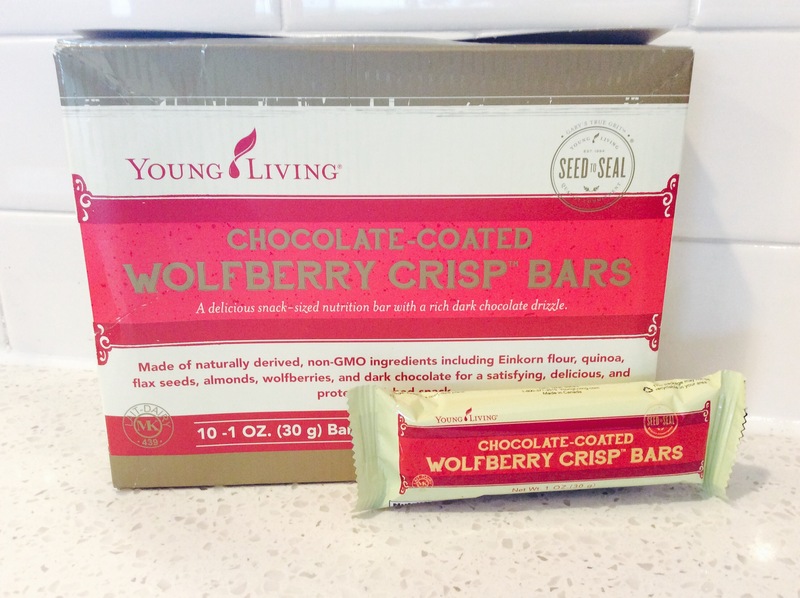 Whether you choose the regular Wolfberry Crisp Bar or the Chocolate-Coated Wolfberry Crisp Bars by Young Living, I doubt you will be disappointed. You might just want to keep these in mom’s secret stash so the kids don’t gobble them up too quickly! This 3oz dark chocolate bar has only five ingredients, Ecuadorian cocoa beans, cocoa butter, sugar and two essential oils. It is a beautiful symphony of chocolate and Young Living essential oils. For being something so simple this scrumptious bar comes in at 200 calories per serving (2 servings per bar) and is packed with flavor. 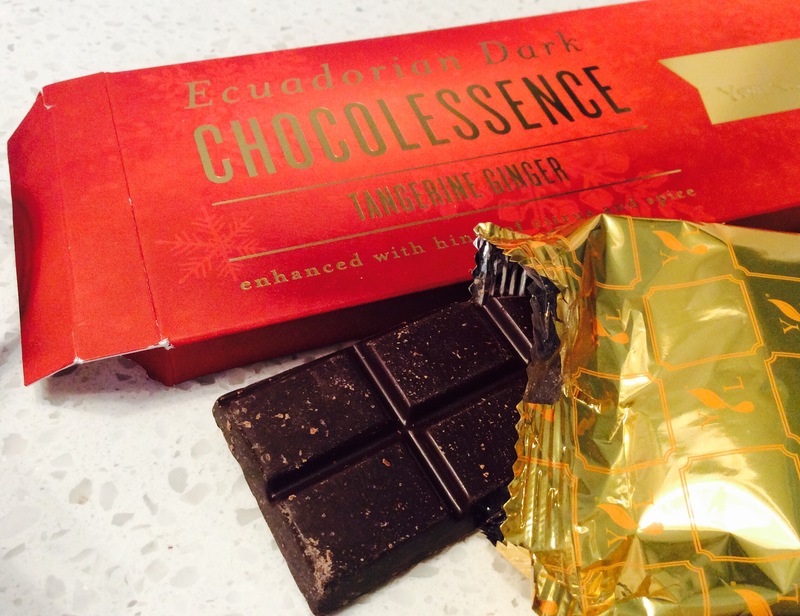 The chocolate is at the forefront with a slight tang of tangerine and a barely there undertone of ginger. The dark chocolate is not so dark that it overpowers the enjoyment. However, I do wish this bar had more of a milk chocolate feel as dark chocolate tends to be a bit waxy. But, staying true to the company’s healthy roots, the cocoa content in this bar is good for you. 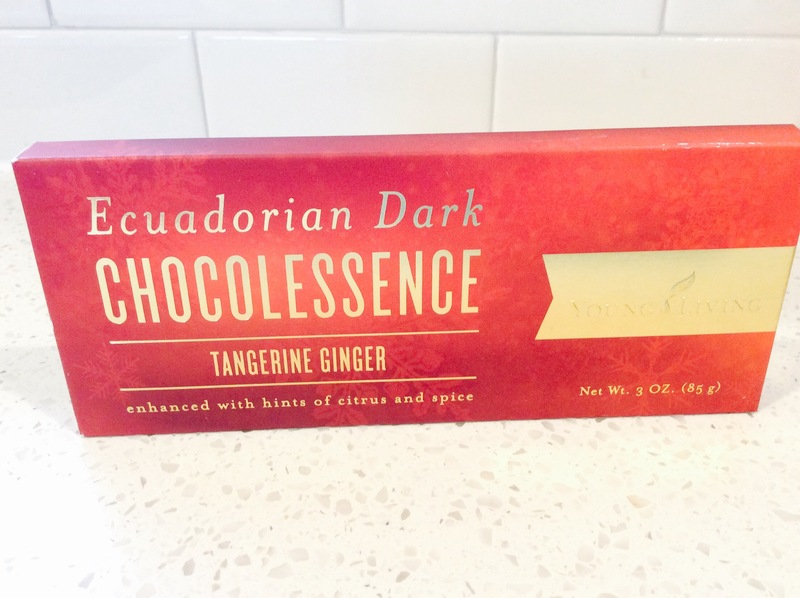 There are two flavors of this chocolate bar offered by Young Living, Tangerine Ginger as well as a Cinnamon, Nutmeg, Clove variety. These chocolate bars are meant to be savored! They would be a great treat added to a Christmas stocking or placed atop a gift. Overall, this chocolate is as simple and natural as it gets. Now if only I can get Young Living on board with making a chocolate bar with a hint of cinnamon essential oil encasing all-natural peanut butter…then I might be in heaven!